Vegas-style gaming with a Sega twist has arrived on mobile devices. For some, gaming means nothing more sitting down with a group of friends and playing some slots. Those types of individuals like to keep things simple, with only a handful of rules and the occasional wild play with a big payout. Fortunately for them, mobile devices have plenty of options for players looking to keep those casino vibes alive without the potential damage to their wallets and bank accounts. Even better, those types now have a new mobile game that unites their love of slots with their love for old-school Sega. This specific mashup comes through a new mobile game called Sega Slots, and as could likely be divined through the title, it's a free-to-play mobile game offering players a number of different Sega-themed slots to play, each of which being centered around classic Sega franchises from Sonic the Hedgehog to Shinobi and Golden Axe to Super Monkey Ball. 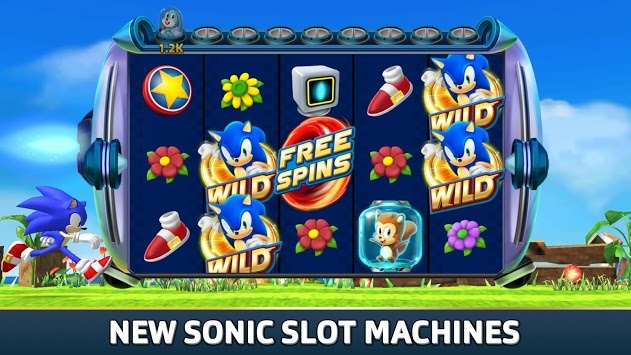 According to a press release for the game, Sega Slots is meant to hearken back to Sega's past as a slot machine producer way back in the 1950s. While most modern gamers probably won't remember that era, it's safe to say that Sega knows how to make a compelling slot machine experience, so mobile gamers should be in good stead with the company's latest release. All the bells and whistles should be present, too, including the option for "big banana bonuses" and the sort of graphics and gameplay options players ask for by name. Sega also plans on giving the game periodc updates to the available roster of slot machines, which ought to help keep content fresh. Sega Slots is being released globally today, and should have rolled out to all the usual storefronts by the end of the day. It's being offered as a free-to-play title with a few different options for in-app purchases, and players can find it over on the Google Play Store or the Apple App Store.